November's increase in homebuilding followed two straight monthly declines. Housing starts fell 3.6 percent on a year-on-year basis in November. 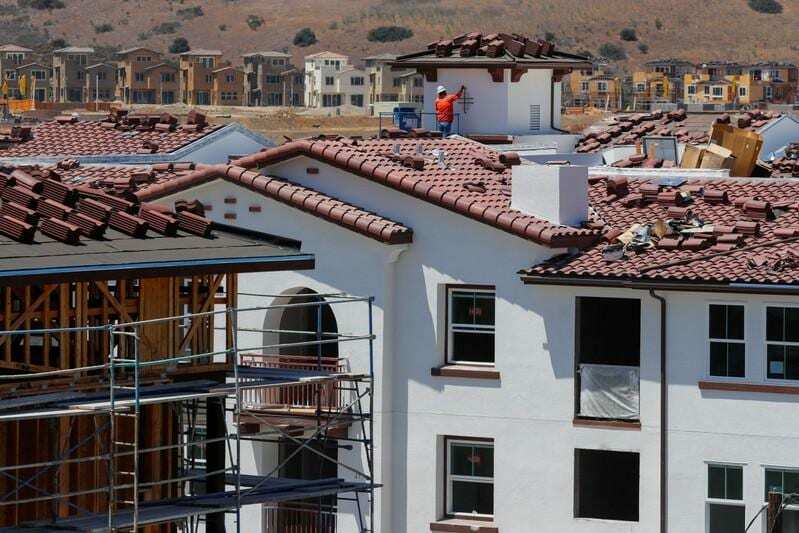 While building permits shot up 5.0 percent to a rate of 1.328 million units last month, they were powered by a jump in the volatile multi-family housing segment. "Mortgage rates have already priced in a 3.0 percent Fed funds rate more or less, so a few more Fed rate hikes won't sting the housing market any further," said Chris Rupkey, chief economist at MUFG in New York. "It is important to stay on a gradual path of rate hikes or they risk telegraphing to the markets and investors that they are worried about the economic outlook." The PHLX housing index was trading higher, in line with a broadly stronger U.S. stock market. The dollar slipped to a one-week low against a basket of currencies amid caution ahead of the Fed's rate decision. Prices of U.S. Treasuries rose. "Until the demand for owner-occupied homes rebounds, it is difficult to see why single-family starts will turn around," said David Berson, chief economist at Nationwide in Columbus, Ohio.